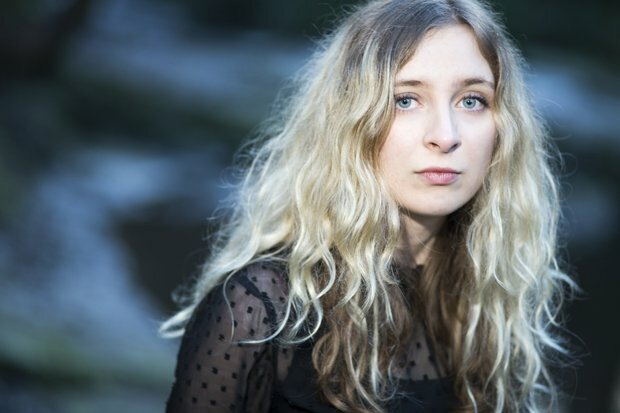 When Annie Booth's debut album An Unforgiving Light was released in 2017, it was praised for its compelling musicality, going on to be lauded as Roddy Hart's Record of Note (BBC Radio Scotland) and featured in Vic Galloway's Best Albums of 2017. The critical acclaim resulted in Booth performing at the BBC's Quay Sessions, as well as appearing at a number of festivals including XpoNorth, Celtic Connections, Tenement Trail and Kelburn's Garden Party. Booth's sound is characterised by its sombre indie-rock tinged folk, which sits elegantly under her poignant and heartfelt lyrics. 'Magic 8', the lead single from Booth's new EP Spectral, demonstrates her strength at crafting wonderful imagery, with a guitar gently strummed below her softly self-assured vocals as the instrumentation builds. Mixed with such bold songwriting, she has the ability to keep her listeners captivated. 'Magic 8' provides a small taste of the upcoming EP, which overall exhibits a real sense of development for Booth, both artistically and personally. So with Spectral on the way and some shows on the horizon to launch the EP, what else does the future hold for the Booth? Spectral is out on Fri 10 May via Last Night From Glasgow and Scottish Fiction. Alternative indie folk from singer-songwriter Booth. With Nicol & Elliot and Heir of the Cursed. With Super Inuit and Heir of The Cursed.